Spirit opened in December 2011 with a vision to offer the highest quality products in the metaphysical realm to aid in the process of consciousness expansion and spiritual awakening. Spirit supports and explores all spiritual paths, focusing on the common ground of love, truth, beauty and goodness that emanates from all life and is the Essence from which all religions and spiritual traditions stem. Spirit offers a comfortable and nurturing environment to expand perspective, access and hone intuition, or find community amidst the awakening process. It offers books, resources and tools to help any seeker on their journey. 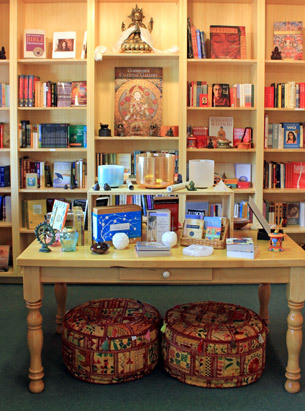 Spirit is also an extraordinary gift store specializing in fun, unique and conscious items for all ages.